Gilgil Special School and Kivuli hostels have been built over time on land adjacent to the local school and so both schools have used the same entrance. 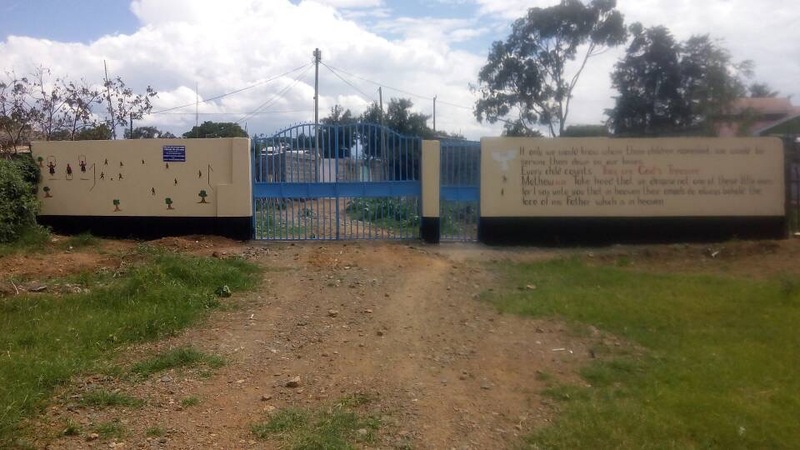 A new gated entrance has now been created near the hostels thanks to funding provided by Kivuli supporter and child sponsor, Nicola Guise. This gives pupils, staff and visitors a more convenient access closer to the road, and means they no longer need to rely on the formal school who have historically held the key . It also marks them as their own proud establishment and the recent painting of the gates has made it look very smart. 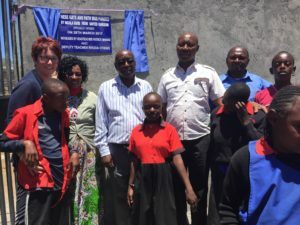 Meanwhile, local supermarket owner, Charles Karanja (Chawaka Supermarket) has funded a new toilet block for the school and pledged to pay for a new water tower. Mr Karanja has been a long term supporter of the children at Kivuli, supplying clothes and food on a regular basis.